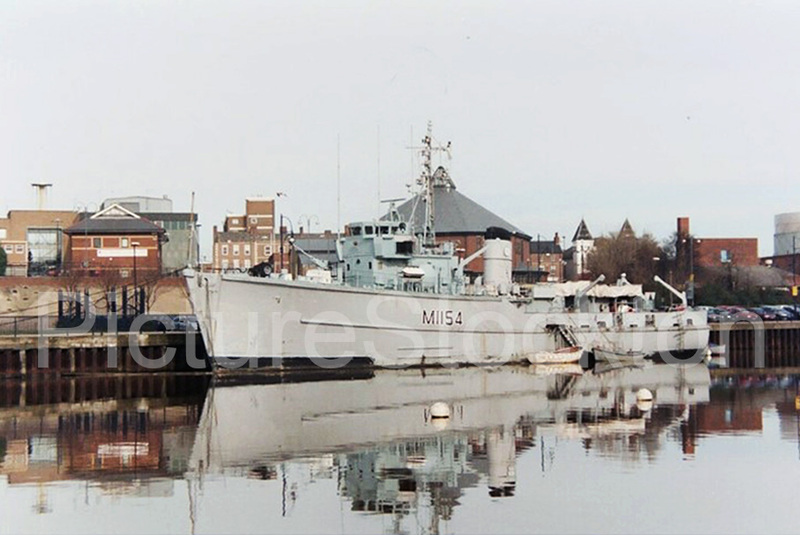 I took this photograph of the HMS Kellington M1154 minesweeper prior to the listing/sinking/scrapping of this nice ship. Photograph and details courtesy of Norman Smith. I had the pleasure of staying the weekend on board the Kellington before it was decommissioned in Portsmouth. A buddy had served as an officer on board her before changing forces. The Captain made us very welcome and it was a hoot! The gally crew fed us like kings and the officers had a knack of producing yet another case of beer or bottle of rum from under the deck floor every time we were getting low.